Final Thank You Thursday 1-Day Sale! Happy Halloween everyone! I hope you’ve been having a great October and if you celebrate Halloween are all ready for it! Today is the LAST THANK YOU THURSDAY and so check out the fun ribbon deals below! I also thought I’d share what kept me busy last night…. we finally got around to carving the pumpkin we picked up from the pumpkin patch! 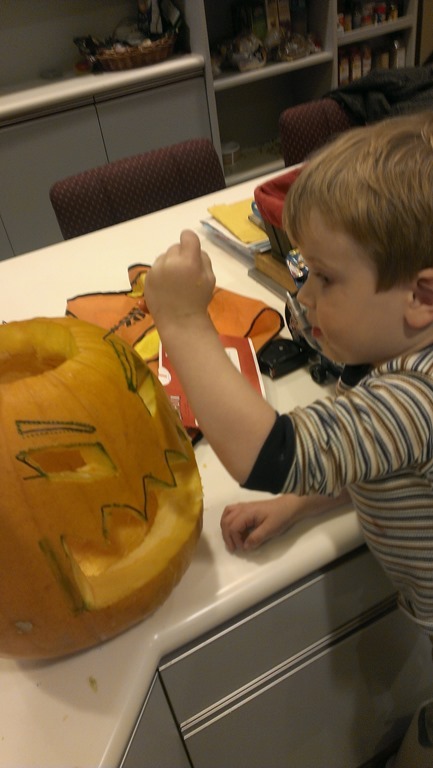 Nicholas knew exactly what image he wanted to draw and so he helped me design our “mad face” pumpkin. I even let him do a little carving with the itty-bitty-careful you don’t bent it-carving knife. 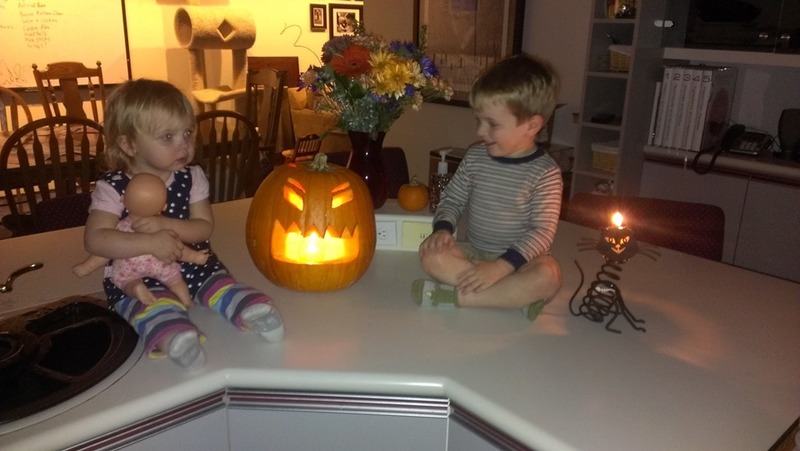 And while Caitlin didn’t care much about carving the pumpkin, she thought it was cool after the candle was in! So, that took a lot of my evening, so I’ll be back a little bit later this morning to share some CUTE halloween swaps I received at Founder’s Circle (since I totally forgot to photo graph them last night). In the meantime, don’t miss today’s LAST THANK YOU THURSDAY! I’ll be putting in a group order tonight if you would like some of this ribbon and want to save a bit on shipping! Email me at jennifer@nwstamper.com or give me a call if you want in on this deal! Shop online to grab these deals and combine them with this weeks Weekly Deals! Surprising to me, out of all the colors of the Chevron Ribbon (and I have them all) I’ve almost completely run out of the Calypso Coral! I didn’t expect to love this color but turns out I do! Click any of the pictures or links above to learn more about any of these items. And also check out the new Holiday Tag It Decorative boxes bundles! 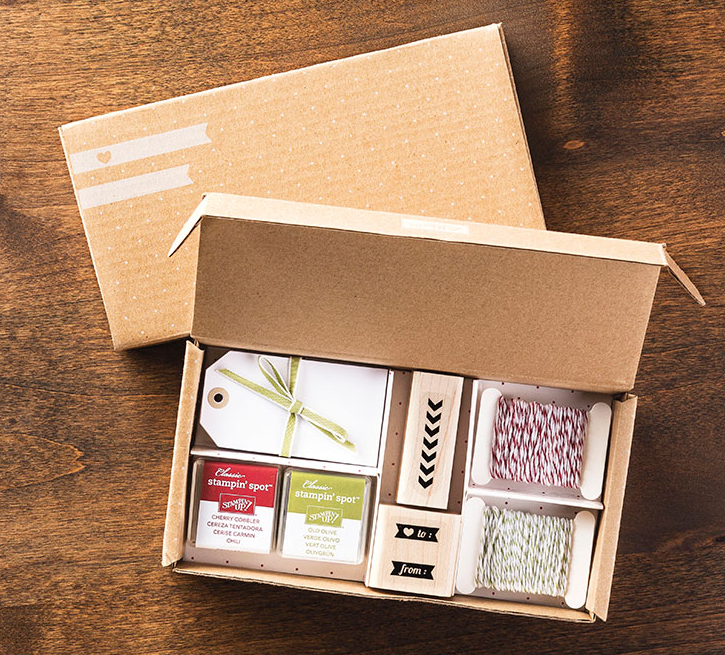 Get everything you need to create fast and easy gift boxes. Perfect for when you need a gift to go quickly! Looking for a cute way to wrap up your gifts this year? Or maybe you just want an alternative to wrapping gifts and getting buried in tape! 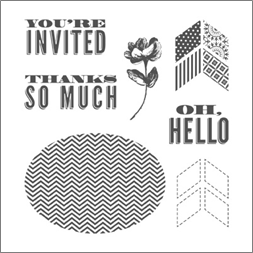 Well, Stampin’ Up has come up with two special bundles for you holiday gifters…. These a discounted bundles that give you everything you need to create some simple and cute decorated boxes. These bundles give you 20% off everything in the kit! Get your favorite kit today in the online store! Yesterday I had grand visions of all I was going to get done and all the projects I was going to make and videos I was going to finish editing (that’s the sad part, I have the videos recorded, I just haven’t edited them yet). But instead it turned into a day of finishing prepping for my holiday card class and working with my mom to finish planning for a craft fair in November. Its been a blast to figure out fun projects to make and pick out papers, stamps, and designs for the different projects. One of the projects I was having a ton of fun with yesterday was working on decorated mini composition notebooks. Mom and I were trying to figure out how to do the insides so we had a “Craft-Off” and each used the same paper for the cover and did our version of the inside. Both of us really like the Happy Day stamp set for their sentiments for this project and I thought the images in the set made for cute accents as well. So I don’t think we have a winner for her craft off because while I like my version, I think hers is really pretty too! Though I think she had the secret weapon of the Simply Sketched hostess set because you can pretty much never go wrong with that set! Now to just finish decorating the front! 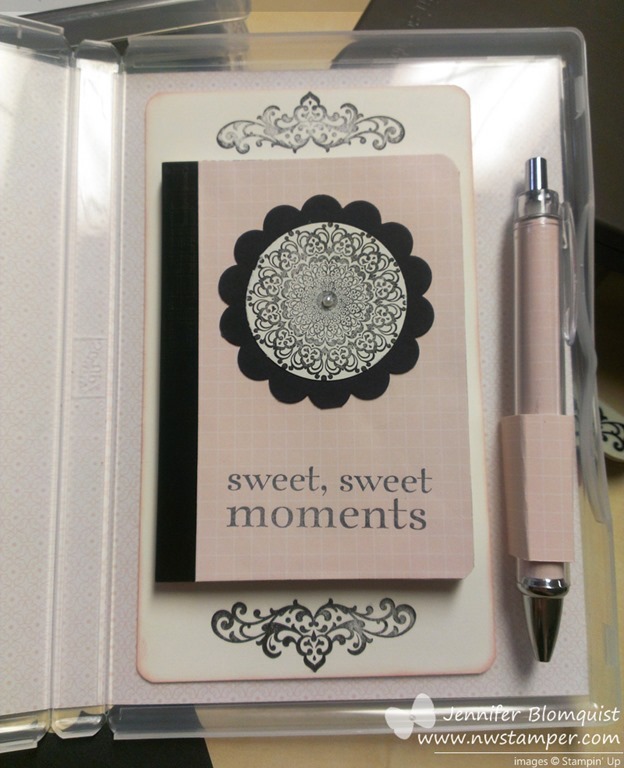 But I had so much fun picking out paper and stamps for the rest of these cases that we are making for the craft fair and I love the idea of having a notebook and pen in my purse that isn’t going to get all smashed up, dirty, and lots in the my “Mary Poppins bag” that I carry. Hopefully everyone else at the craft fair feels the same way! Thank You Thursday is all about Big Shot Accessories! 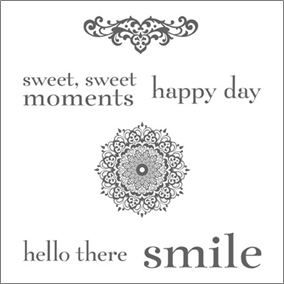 But thankfully, it is Thursday which means Stampin’ Up!’s Thank You Thursday One-Day Sale! So, there are some AMAZINGLY AWESOME items on sale this week…. check it out! – this matches the 25% off stamp set!! Yes! I will put together a group order for tonight if you only want one or two of the items above. And even if you are long distance, these are so light weight you may still come out ahead. So, if you want in, please email me at jennifer@nwstamper.com! More ways to save and win! 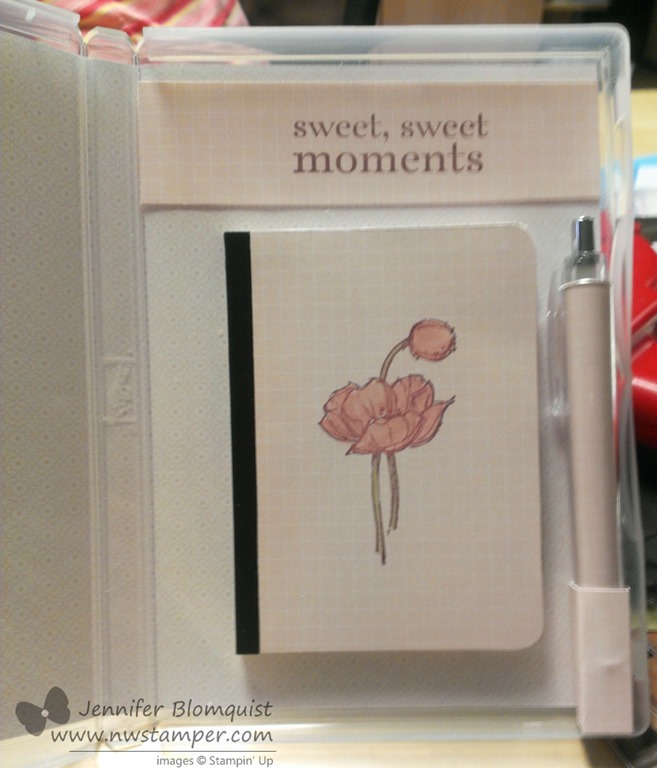 This includes the coordinating Hearts a Flutter stamp set that matches the framelits above! See the images and sale prices of the stamps that are on sale or you can view them in the online store. On top of the stamp sale, they just posted 6 new items for the weekly deal! You have until Monday to save 25% or more off of these items. See this week’s weekly deals here. I’m helping with the party atmosphere by offering a little extra bonus as well! Order any of the discounted stamps online using the hostess code – R2XQXU3G or email me your order to be entered to win $25 in hostess benefits! Ok, got all that? Alright, well I’m off to finish video and photo editing so I can have more cute projects up for you very soon!